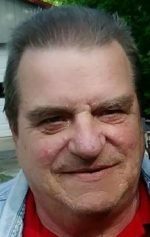 Thomas James Fennimore, Sr., 67, of Nathalie passed away Thursday, April 4, 2019 at home. He was the husband of Lisa Ann Fennimore. Mr. Fennimore was born in Trenton, N. J., May 6, 1951 a son of the late James Henry Fennimore, Sr. and Almedia Brady Booze. In addition to his wife, he is survived by four sons, Thomas James Fennimore, Jr. (Courtney) of New Jersey, Brian M Fennimore (Pearre) of Leesburg, Damen M. Schaulbert of Illinois, Taylor E. Fennimore (Natasha) of Altavista; three daughters, Valerie Fennimore (Kevin McPeak) of Illinois, Jill S. Anderson (Brud) of Pennsylvania, Neva A. Hall of Nathalie; 16 grandchildren; four great-grandchildren; one brother, Victor Fennimore (Karen Scranton) of Illinois. He was preceded in death by a brother, James Henry Fennimore, Jr. The family wishes to thank Centra Hospice and especially Carman Webb for the care they gave the family. A visitation will be held at 2 p.m. Sunday, April 7, 2019 at Henderson Funeral Home and Cremation Service, Brookneal. A private burial will be held with the family.